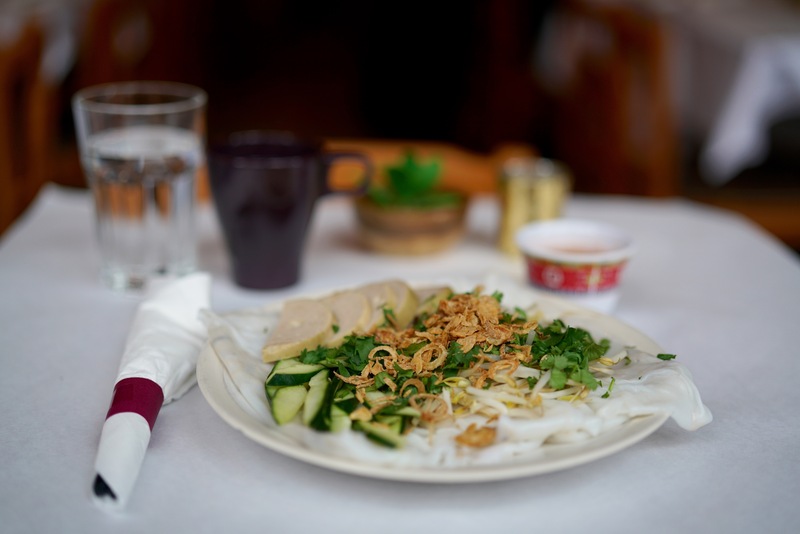 Resident Foodies say: We made it out to Simply It, a neighborhood Vietnamese restaurant near DePaul. 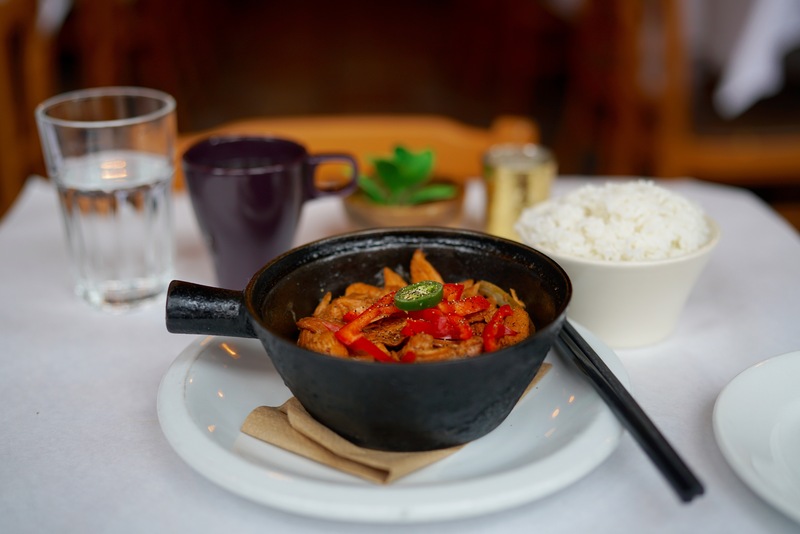 It’s a cute little place on Lincoln Ave.
We tried the Clay Pot chicken (simmered with ginger and caramelized sauce in clay pot) as well as the Vietnamese steamed pork ravioli, a specialty of Northern Vietnam. Both were tasty dishes. The ravioli is reminiscent of the dim sum rice noodle rolls, given the use of the same style noodle. The flavor of the Vietnamese dish is more mild, but it has a nice combination of textures and flavors. The claypot chicken was tasty, but lacked the caramel sweetness of Slanted Door’s famous claypot chicken in San Francisco. The red peppers provided a nice contrast, but our dish could have use a few more peppers. For a neighborhood restaurant, though, Simply It is a pretty solid option, especially for lunch. Street parking was decent, too.